The Science Doodles What do they really Mean #infographic ~ Visualistan '+g+"
It happens to most of us from time to time. It might be during a business meeting, a conference, or just while chatting on the phone. We doodle, we draw, we unconsciously create a picture that may be completely irrelevant to the task at hand. 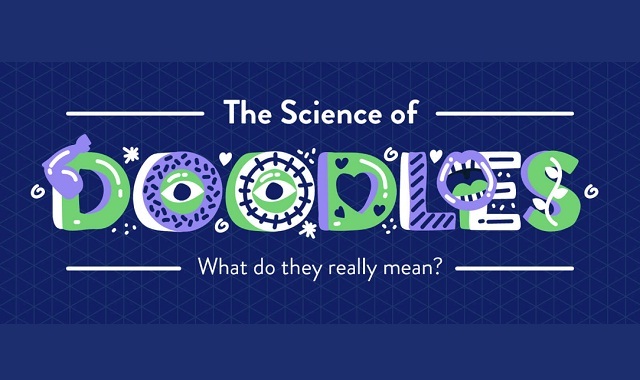 While many may perceive doodling or drawing as an inane or pointless exercise, author and doodling evangelist Sunni Brown sees sketching as a way to improve comprehension and get the creative juices flowing. Research that dates back nearly a century backs up Brown’s claim that doodling, drawing and engaging in artistic activities is good for our memories, our mental health and improving job performance.